I hope everyone is having a great holiday season! It's been quite a hectic few weeks for me, but I wanted to post a review of a useful tea product. 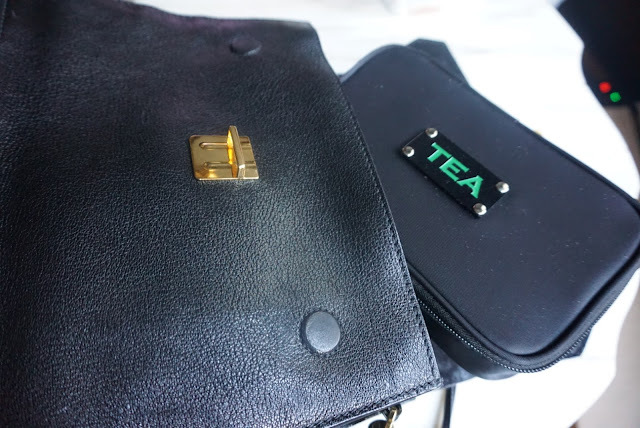 If you've ever wondered how to tastefully take your tea with you out to dinner or while traveling out of town, there is a perfect little case that fits in a purse, tote bag, or backpack. The Take Flight Tea Case created by the lovely Darlene of The Tea Lover's Archives is something I've needed for a long time. She generously sent me one to review for all of you, and I'm happy to share my findings. I often find myself at restaurants with a mediocre tea situation, wishing I brought my own tea. I know Darlene has been in the same situation many times, and I love that she decided to create something to solve this problem. With this handy travel case, I'll be bringing my own loose leaf teas with me from now on. No more bad restaurant tea! 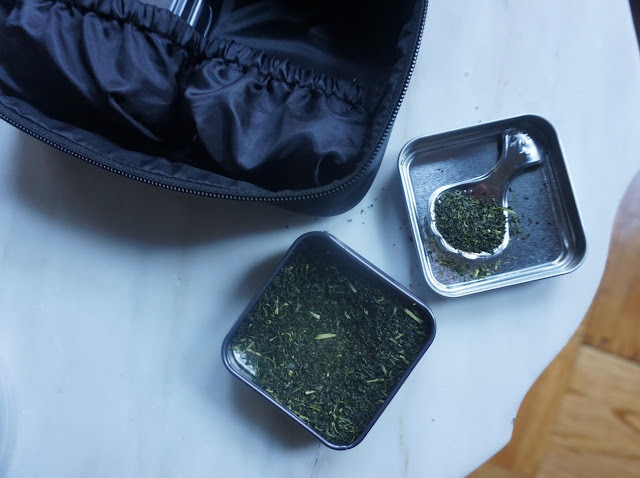 The nylon zipper case contains two food safe tins for loose leaf tea that slip into their own little pockets. There is also a scoop, and a pouch to store fillable tea sachets or tea bags. It's a simple and stylish way to carry tea around town. Take out your tin of tea, fill up a sachet, and you are ready to brew. Just ask the server for hot water. I really like the two refillable loose leaf tins. They are the perfect size, nice and airtight and also lightweight. The tea scoop is also a great addition, to measure out the tea with care. The tins slip right into their respective pockets, making sure everything is secure and doesn't move around with travel. I also like the design of the case. It's simple, and a nice size to carry around. The TEA plaque on the outside is a nice touch. I've used this case a few times already- it's so nice to know I can have a good cup of tea no matter where I go. Thank you to Darlene for providing this case for review. 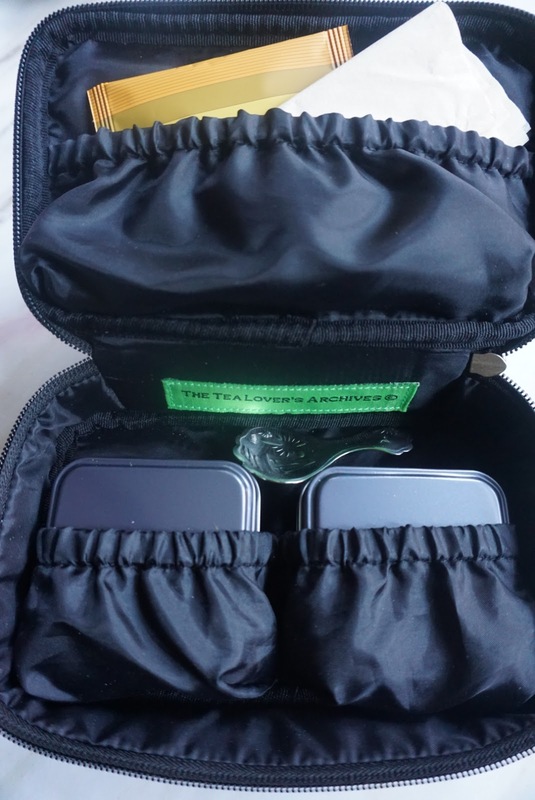 If you are interested in learning more about The Take Flight Tea Case, visit her website here, and feel free to ask me questions in the comments.